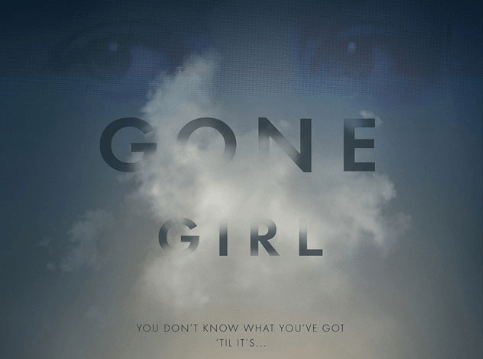 Everyone’s been raving about the fact that Gone Girl has been adapted into a movie (releasing October). We’re particularly excited about the film because the phenomenal duo of Trent Reznor and Atticus Ross are doing its background score. Whose are these random names we are throwing at you? Remember The Social Network? That Facebook Movie? (Of course, in reality, it was way more.) The reason we enjoyed that one so much was its extraordinary score, which wholly complemented the narrative, even helped it move ahead. They brought an Oscar home for that one. They collaborated again on Fincher’s The Girl with the Dragon Tattoo and are now coming together for this. Background scores were always important but it’s only now, due to the surge of a few exceptional tracks, have they gained the popularity they deserve. Verve looks at a few other maestro composers who have been instrumental in bringing background scores into the limelight. 1. Hans Zimmer Because no list on music will ever be complete without this name. But don’t you recognise him? He’s Chris Nolan’s favourite man! The Batman movies are immortalised as much for their fine score as for the brilliant direction and actors. Bruce Wayne’s first moment as Batman, that chase scene in the final film, the chanting and to top it all, that one beautiful melody that plays when Catwoman’s trying to beat a hasty retreat. He’s also composed for The Lion King (1994), Inception (2010) and Gladiator (2000) to name a few. We’re sold. 2. Ludovic Borce His music for The Artist (2011) has been downloaded and enjoyed so many times. The xylophone is back and how! A film set in the 1920s, when the talkies were just making their way but silent films hadn’t quite left. This Frenchman has weaved magic into the narrative, elevating the storyline and performances. Of course, the Oscar was his. 3. Howard Shore Okay, so he’s scored music for an opera. Gulp. We came to know of him due to The Lord of the Rings trilogy and The Hobbit(s). He also scored music for Eclipse (2010), the third part in the Twilight movie series. Never thought that film would come anywhere close to the others on this list, would you? What we’re trying to say is, his repertoire has bits and pieces of everything. Everything top-notch. 4. Alexandre Desplat: His work is magical. Literally. The music in Harry Potter (the last two parts) was his doing. Don’t you remember? Any HP fan worth their salt has the haunting Lily’s theme on their iPod for quick listening. Our second Frenchman on the list, he was already a prominent name en France before Hollywood recognised his awesomeness. What followed was The Curious Case of Benjamin Button (2008), The King’s Speech (2010), Godzilla (2014) and a dozen Academy Awards. 5. A.R. Rahman This man has played a major part in putting our country on the music map of the world and has pitched flag in Hollywood too. What we love about him is that he still composes for South Indian films and the Bollywood fare. He’s right up there with the stalwarts having won not one, but two Academy Awards for Slumdog Millionaire (2008), not that we ever needed their validation. There was also 127 Hours (2010). If we begin to list down our preferred music scores by him, this list will never end. We’ll put down our favourite. You MUST listen to the background score of Yuva (2004); notable tracks being Michael and Radhika, Lallan’s theme and Anjanaa Anjani. We also think Ramin Djawadi of Game of Thrones fame must be included but another time, another list. Till then, happy listening!